Ali Rosen joined Federation of Organizations in 2010 as a therapist in the PROS program. From there, she was promoted to Program Manager of the CR/SRO in Queens and in 2014 was promoted to Associate Director of Residential Services. In that role, Ms. Rosen was charged with overseeing the Supported Housing Programs across Long Island and New York City in addition to managing the Mobile Teams and the Intake Department. During this time, Ms. Rosen was instrumental in the restructuring of Federation’s Residential Services Department. In 2016, Ali was promoted to Director of Community Housing Support Teams, a new department that housed not only the Mobile Support Teams but also the Nursing Home Diversion Supportive Housing Program. In 2018, Ms. Rosen became the Director of Residential Services: Non-Licensed Programs where she oversees multiple mobile support teams and 740+ Supportive Housing beds throughout Long Island and New York City. 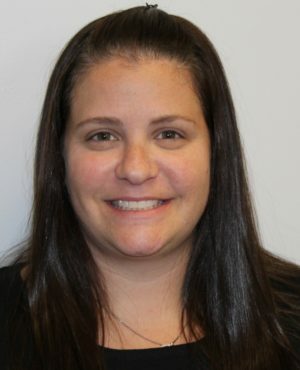 Ms. Rosen is a New York State Licensed Clinical Social Worker and earned her Bachelor of Arts from Indiana University and Master of Social Work from Stony Brook University.